For this competition the tipster must add the prediction with over 24 hours before the match. Big odds are not important because Hit Rate decides the winner. The rules are the same, the only difference is the prizes and the way we choose the winners. -The winners will be determined by the highest monthly Hit Rate. 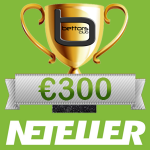 -If two or more tipsters have the same Hit Rate, Profit will be taken in consideration. 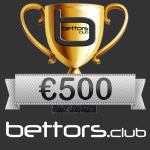 -The tipster must add the picks with over 24h before the event starts. -The tipster must have a minimum of 10 picks with over 24h before the event starts. -Hit Rate will only be calculated for the picks with over 24h before the event starts. IMPORTANT: Tipsters that don’t have a Neteller account, must open a new account through this link in order to receive the prize. Where do I find the winners for January 2019? Thanks! The winners will be in the news section. Usually after the 20th, in the next month. Start adding picks with over 24h before the event starts.